University of California Press, 9780520270763, 328pp. Sociologist Ashley Mears takes us behind the brightly lit runways and glossy advertisements of the fashion industry in this insider’s study of the world of modeling. Mears, who worked as a model in New York and London, draws on observations as well as extensive interviews with male and female models, agents, clients, photographers, stylists, and others, to explore the economics and politics—and the arbitrariness— behind the business of glamour. Exploring a largely hidden arena of cultural production, she shows how the right “look” is discovered, developed, and packaged to become a prized commodity. She examines how models sell themselves, how agents promote them, and how clients decide to hire them. 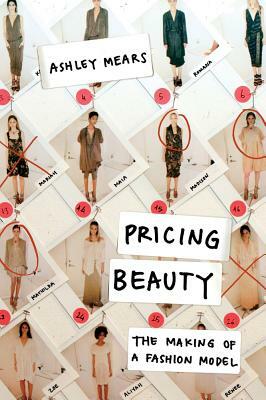 An original contribution to the sociology of work in the new cultural economy, Pricing Beauty offers rich, accessible analysis of the invisible ways in which gender, race, and class shape worth in the marketplace. "Mears gives voice to a group of women who are paid to be seen and not heard."